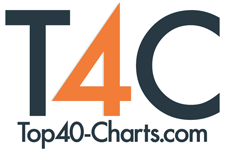 New York, NY (Top40 Charts) We have been operating a daily newsletter of our music news since 2004 so it's time for some changes. The same daily option is still here, but we're also adding a weekly feature with the most read news of the week. Due to technical issues with Google's Feedburner service (and Google's tendency to not provide any support :)) we are starting from point zero, so it's up to you to subscribe to the new list. Simply use the form on the left side of any news article (like this one!). We are keeping the old system as well for the time being, so might want to unsubscribe from that one to avoid getting the same stuff twice. The new mailing lists are being handled by MailChimp to ensure security and privacy of your information.